The Club’s non-profit status means its planes are offered to members at cost. This means members enjoy each hour of flight at literally half the cost or less of almost all charter services, and even most clubs. Flight time starts at just $65 per hour, including fuel. You can read more about our aircraft below. Although the Club is affiliated with the University, and is focused on bringing aviation opportunities to students, non-student members are absolutely welcome. Undergraduate and graduate students, relatives of students, and other community members all take part. Members can hold either an introductory, flying, or non-flying status. Flying members run the gamut from brand new student pilots to commercial airline pilots. Club meetings take place at the University of Maine campus every month (sometimes excluding summer months). Club meetings are not just for pilots; topics include those of general aviation interest. Past topics have included the process of becoming a pilot, presentations with Air Traffic Controllers, visits to see airport operations, and more. 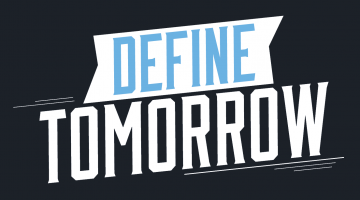 If you’d like to get involved feel free to …. The University Flying Club operates from the University of Maine’s primary Orono campus. Meetings are typically held on the second Wednesday of each month at the Memorial Union (see meeting schedule). At the time of our meetings a parking permit is not required, and we suggest parking in the CCA or Belgrade lots. 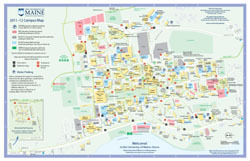 If you’re not familiar with the campus, click on the map to the right. Both the club’s aircraft are based at Bangor International Airport (BGR). Its full suite of services make the ideal base of operations, while the tower controlled airspace and extremely lengthy runway provide an excellent training environment. The airport is easily accessed from I-95, at the General Aviation terminal. Click on the map to the right to see its exact location. 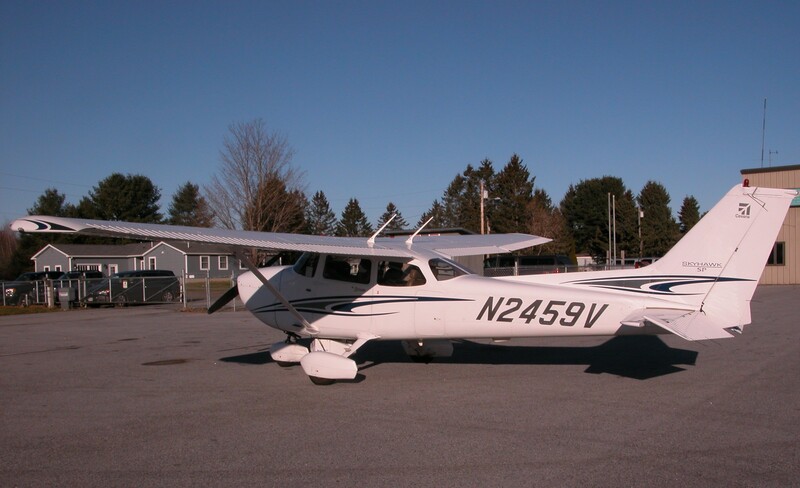 We currently own and operate a Cessna 152 and flying club members have access to the university’s Cessna 172SP. The Cessna 152 has GPS, as well as NAV and COM radios, while the Cessna 172SP has a Garmin G1000 “glass cockpit” with autopilot and is great for modern instrument training. CAPACITY: 4 With more than 55,000 delivered, the Cessna 172 is the best-selling, most-flown airplane ever. Almost all pilots have spent at least a little time in one, as they are the quintessential training plane. They have a reputation for reliability, forgiving flight characteristics, and safety. The 172 is also very versatile, serving a variety of aviation missions. The plane available to our members is a 2005 Cessna 172SP with Garmin G1000 “glass cockpit” and autopilot. It is a great modern airplane for instrument training and comes with an incredibly low hourly rate. 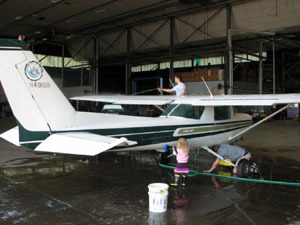 CAPACITY: 2 The little brother of the 172, the Cessna 152 has 2 seats instead of 4, but all the same positive attributes. It is also a classic training plane, flown by flight schools all over the world. It’s smaller size and fuel economy allows the club to charge one of the very lowest prices available in general aviation today.